There are thirteen species of insectivorous bats who call Florida home. 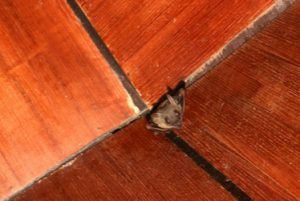 Although bats prefer to live in various natural habitats such as in dead trees, dead palms, Spanish moss, and caves, they also favor the warmth and protection your attic provides. Bats play a critical role in our ecosystem but can become a headache for homeowners when roosting in large colonies inside of attics. While bats aren’t dangerous creatures, they are considered pests because of the amount of noise and mess they can create. The chirping sounds bats can make in a large group can drive homeowners crazy. But, the primary concern for wanting to remove bats from your attic is the health, odor, and insect problems that can occur from the accumulation of their droppings (guano). How Do Bats Get in my Attic? Many times, bats locate small cracks or gaps in the exterior of your home by sensing air currents and temperature changes. And, because bats are nocturnal and relatively quiet in smaller numbers, they could be living in your attic for years until the odor from the droppings notifies you of their presence. How Do I Get the Bats to Leave? Never try to trap or poison bats you encounter in Florida. Bats are protected under Florida wildlife laws, and it is illegal to kill them deliberately. The only safe and effective way to permanently remove bats from your attic is by performing a live exclusion. An exclusion is administered by setting one-way devices in the areas where the bats are emerging from the roost. The one-way devices let the bats exit but prohibit them from re-entering. Once all of the bats are gone, the openings can be permanently sealed, and a thorough cleanup can take place. If you need help removing bats from your home attic, rely on the professional services Critter Control® of Orlando provides. We have the proper tools and knowledge to correctly exclude the bats, as well as repair any damages they may have caused, and clean any messes left behind. For more information, or to get a free estimate today, please call us at 407.295.7194.